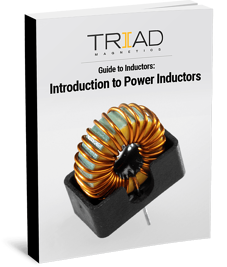 Power inductors are incredibly important magnetic components, found in everything from household appliances to the national power grid – any application that requires control of current. Click here or on the button below to access your free digital copy. As always, please don’t hesitate to contact Triad Magnetics with any questions you have.